Let’s not mince words, I do not like this ink. The colour reminds me too much of mud and other more unpleasant things that I’ll shall not name. This is a lighter brown with yellow undertones. It shades well from a dark yellow-brown to a muted yellow. 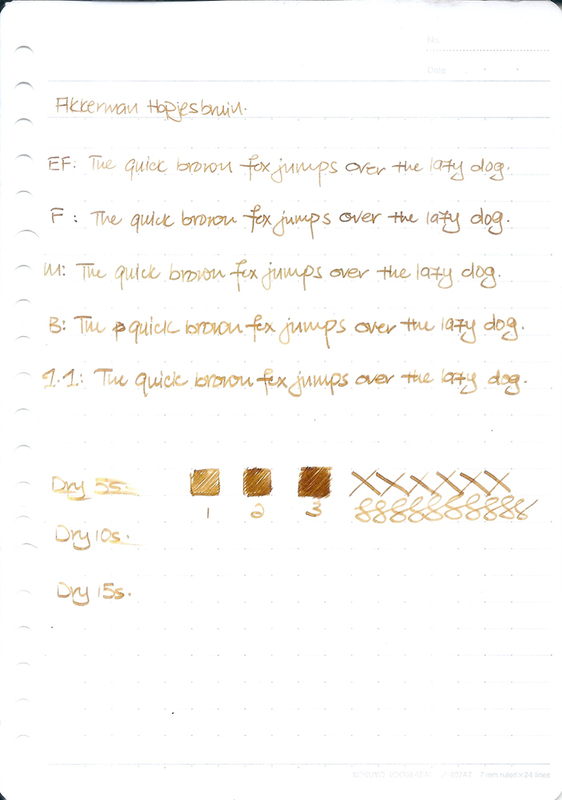 Somehow this ink reminds very much of Pilot Iroshizuku Ina-Ho and I’ve made my feelings plain about that ink. This is a colour that just doesn’t speak to me. However, what’s one person’s poison is another’s meat.